4-H members from all over the state descended on Boise this week. They were here to learn the details of how our state government works. They held a breakfast for all legislators on Monday morning. They were such great kids! Of course part of the reason they were so nice was they had been here over the weekend, so they were exhausted. Seriously, they had been trained on how to greet people, visit with their legislators, and to act like model Idahoans. As you know, I was a former 4-H club member, as were my kids. My mother was a 4-H leader for decades. So, I’m prejudiced!! 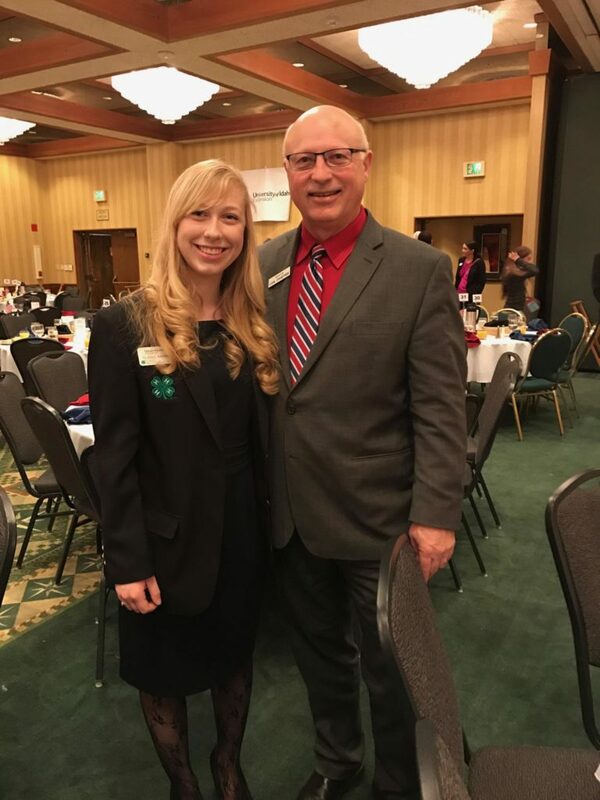 Sydney Andrews, Idaho 4-H State Teen Association Officer, daughter of Rachel and Sean Andrews, Kooskia. Rachel is a member of the Valley Livestock 4-H Club, which was the club I was a member of back in the day! Congratulations on being a Teen Association Office, and a great kid! Quagga Mussels were discovered in Montana late last year. We already knew they were in Utah and Nevada. These little mollusks eat food that fish and other animals eat, as well as severely damage the balance of wildlife in the lakes and ponds in which they live. Dworshak Dam, and all the lakes and ponds in district 7, are at risk if we allow them into our area. Legislators around Idaho, and particularly those from North Idaho, allocated a supplemental appropriation to have boat inspection stations at state entryways around the state through June 30. After that we will have to visit Department of Agriculture budgets to figure out what to do for the rest of the year. 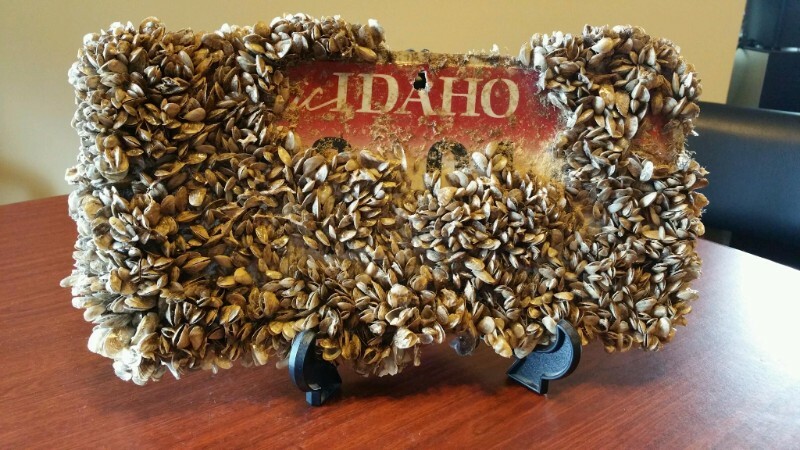 Here is an Idaho license plate that was completely covered in quagga mussels. You can probably get an idea of how bad it can get with these covering boat hulls, docks, and rocks. How to manage without Secure Rural Schools funding. They all agreed the students are the focus of all our efforts. I visited with the folks from Silver Valley schools about how many things have been added to their plate to teach, without any additional days in which to do it. They mentioned things like suicide awareness training, media literacy training, intruder lock down training, and the like. The administrators were not criticizing the topics; they were just noting that these things have been added to their responsibilities, with nothing taken away. And they have the same amount of time to teach. I always enjoy hearing from you. If you have specific interest on bills, please let me know and I will run them down for you. Send me an email to ccrabtree@senate.idaho.gov.